Discussion in 'Tesla Apps' started by Teslarati, Jan 28, 2017. This app started out as an experiment to see whether Tesla drivers might be willing to share tips and recommendations across their Tesla Road Trip adventures. More importantly, we wanted to see if the general population regardless of ownership status would be interested in seeing what else is taking place at Superchargers, Tesla Stores, Service Centers and Destinations Chargers, worldwide. With over 60,000 downloads and nearly a 5-star rating, plus hundreds of feature requests in our queue, our app team couldn't be more grateful for your support! We're starting this thread to solicit feedback from new and existing app users, but also to create an open forum for feature requests! Get Tesla, SpaceX and Elon Musk news, see crowd sourced real-time Tesla Supercharger and destination charger updates, and connect with other Tesla owners and enthusiasts within the community! 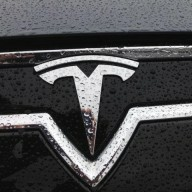 • Stay on top of the latest Tesla news, rumors and reviews!! • Find nearby restaurants, interesting points of interest, WiFi tips and fun things to do around charging locations, as recommended by other Tesla owners. • Interact and engage with other Tesla owners by following their journeys. • Be notified when a new recommendation is added to your favorite Tesla location or someone engages with your comments. • Be notified when new Tesla Superchargers, Destination Chargers and Stores become available. Whether you're an existing Tesla owner discovering the extraordinary across your Supercharged road trips, a Model 3 reservation holder, or a Tesla enthusiast who just can't get enough Tesla, SpaceX or Elon Musk news, we hope you'll join the tens of thousands who have made us their single go-to app that brings it all together! I'd love to see a way to post questions to the Teslarati network and get answers. Say you're on the road and have a question about a plug or something. What better way than to reach out via the app? Are you thinking of something similar to the "Send Us a Tip" feature which would only reach the Teslarati team or are you thinking of a way that allows app users to submit comments and questions directly into a public forum? What are your thoughts on how the feature would work? I was thinking about an "ask Teslarati a question" type thing which would go to the Teslarati community (not just moderators etc). Now that there's a forum, starting a thread would be a good way to do it IF I could get updates/alerts when answers come in. Here's an example use case: A new owner pulls into a friends driveway and needs to plug in their UMC overnight. They don't know if the UMC is weatherproof. They need an answer and need it quick. Browsing forums, txt'ing the few they know that have the car doesn't work. How do they get the answer? We released version 1.8.0 for both iOS and Android which now has deeper integration into this forum. News stories will now show comments which will tie directly back to the appropriate thread. There's also a menu item that allows you to access the forum directly. We were able to get it to render pretty nicely on mobile and tablets. Here's an example of one of our guys listening to the @The Tesla Show podcast yesterday. As always, if you've like the app thus far, please consider leaving our hard working devs a review! Hello! I was wondering whether it is just my iPhone shows notifications very, very rare about new Tesla stores and centres, SuCs and Destination chargers after their opening or is it common problem with Teslarati mobile application for iOS. I've tried reinstalling it several times without success in the end.. Notifications are turned on for the application in general settings of the iPhone, don't know what to look for else.. Help, please. Thanks. I can't seem to log in on the app, (without facebook at least). web version doesn't do passwords (just a "magic link") app wants a password but always says I have to go to settings to turn it on, when I go there, it's just the same login screen. Anyone got any tips?